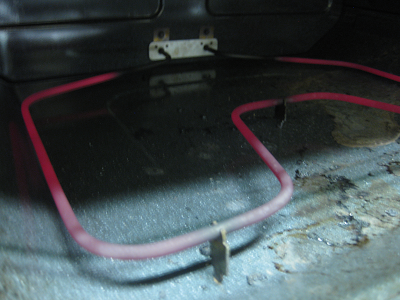 Science Minus Details: Experiments at Home #2 - "Skillet Control Oven"
...hers works by running electricity through a metal wire. 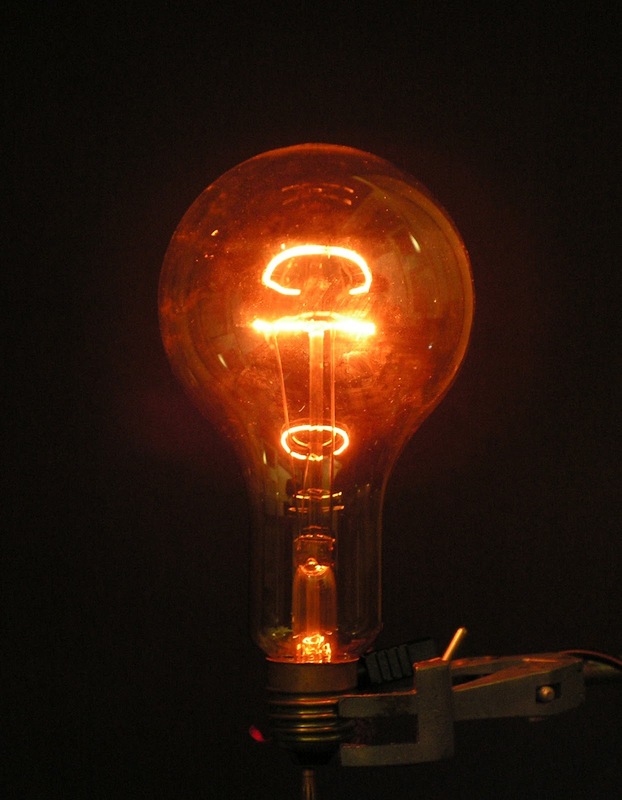 This heats the wire in a process known as resistive heating, first made famous by the incandescent light bulb. Here is what the resistive heating coil looks like in Jenny's oven. Look at that color! Importantly, electric ovens do not produce any water. 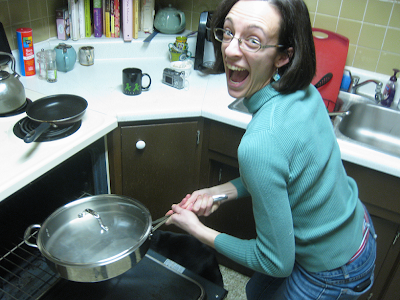 Jenny proposed simply repeating my skillet experiment in her electric oven. If the skillet is covered in liquid after a trip into her oven, this would be pretty strong evidence against my water-from-combustion hypothesis. If there is no liquid, then my hypothesis still stands. Jenny gets super psyched about experiments too!!!! 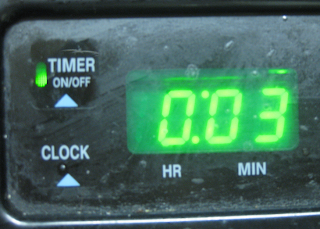 and set the timer for 3 minutes. 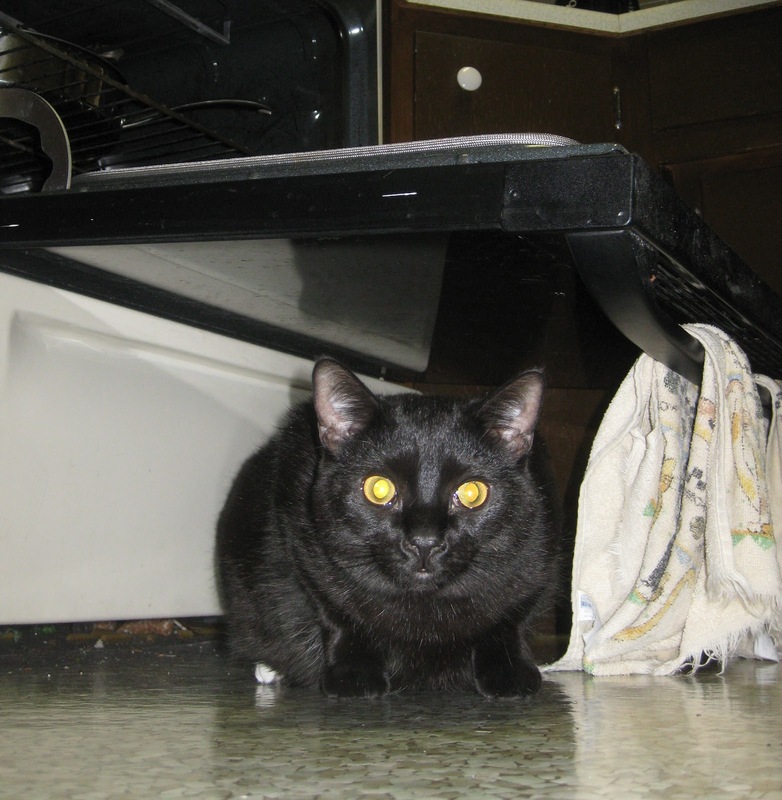 After 3 minutes we opened the oven and were quite alarmed to find a black cat trying to put a hex on our experiment. "Who gave you permission to do science in my kitchen??" Being good scientists though, we put our superstitions at bay and observed the appearance of the skillet. Behold! No liquid on the skillet! 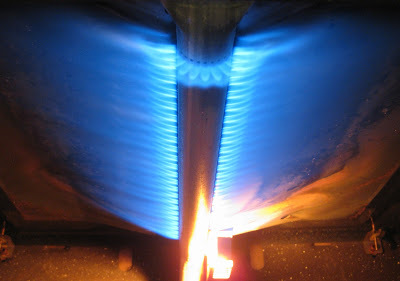 The liquid from the gas oven experiment was probably water from burning natural gas! I'm sure there are more experiments we could do though. Any ideas? Finally, even though these experiments covered something relatively trivial, I think the process provides a good example of how science actually works. I observed liquid on the skillet and proposed the hypothesis that the liquid was water from combustion. I shared this hypothesis and other people suggested some followup experiments. You may have a vision of a scientist being alone in her lab spewing out discovery after discovery, but science works much better and is much more fun when you share your results and thoughts with other people. 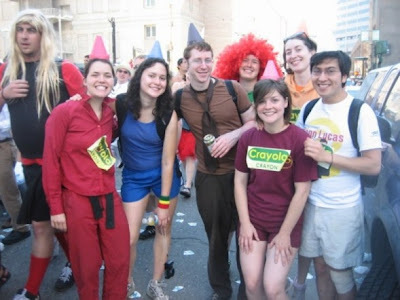 1 - Immature jokes are told (most often about farts). 2 - Scientist A suggests why Scientist B is wrong about something. 3 - Scientist A proposes followup experiments or possible interpretations for Scientist B's results. 4 - More fart jokes. This is what it looks like when scientists hang out! Hi pals! 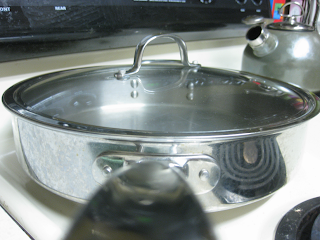 Related Post: Experiments at Home #1 - "The Skillet Mystery"
A key difference between electric and gas ovens is the temperature ramp rate. Electrics notoriously heat up slower than gas ovens. Any idea how hot the ovens were after 3 minutes? 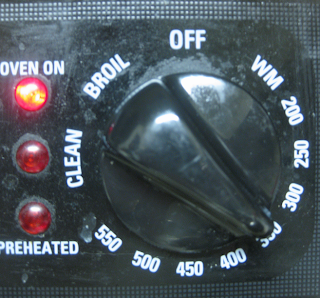 According to your hypothesis, you should see this same effect if the oven has been fully preheated to 375, correct? Would you be able to try it again to make sure that is the case, and not water vapor being vaporized off the sides of the oven and condensing on the pan? Excellent suggestion. Yeah, I was concerned about heating rates but decided to just do the same-time comparison as a first shot. I have no idea how hot either oven was after three minutes (very lazy science). I'm really not sure if the same thing would happen in a fully preheated oven. I think one reason the water vapor condenses is because the air inside the oven has not had time to heat up and so becomes saturated with water. 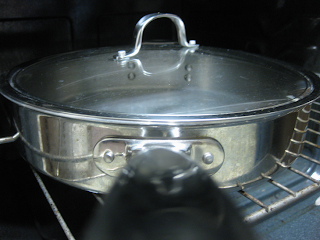 In a fully preheated oven the atmosphere might be so warm as to make condensation unlikely. Only one way to find out though! 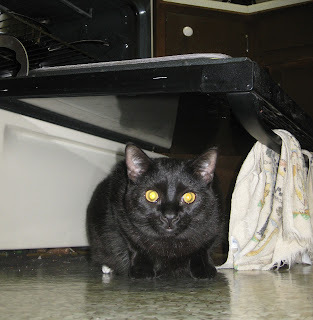 I am running out of skillet-experiment "steam" though, and might move on to poop experiments. If I do this I'll definitely let you know though. Thanks dude!